Internet comes up with several silly challenges that most of the people like to follow. Nowadays, the trending thing is the #1oyearchallenge; it’s all over on Facebook, Instagram, and Flicker. The challenge is simple; it’s merging your two photos into one that show a difference of 10 years. My Instagram wall and stories are crowded with people posting their ridiculous transformation over a decade. 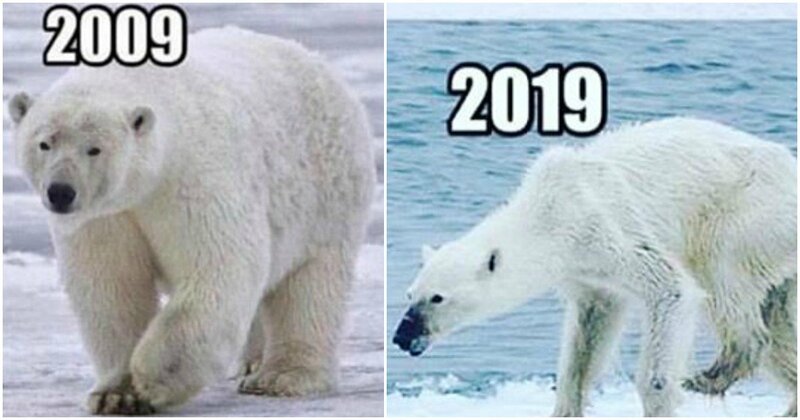 While some are taking this challenge as a joke, there are others who have brought up the transformation in the nature and environment through the #10yearchallenge. 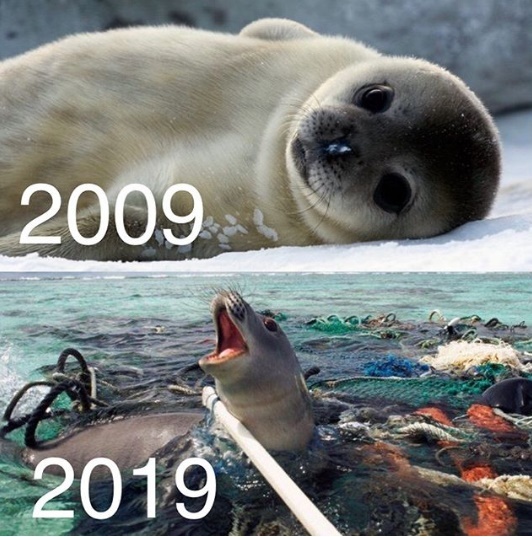 Let’s check out some issues that we only need to worry about as a part of the #10yearchallenge. Internet comes up with several silly challenges that most of the people like to follow. Nowadays, the trending thing is the #1oyearchallenge; it’s all over on Facebook, Instagram, and Flicker. The challenge is simple; it’s merging your two photos into one that show a difference of 10 years. My Instagram wall and stories are crowded with people posting their ridiculous transformation over a decade. 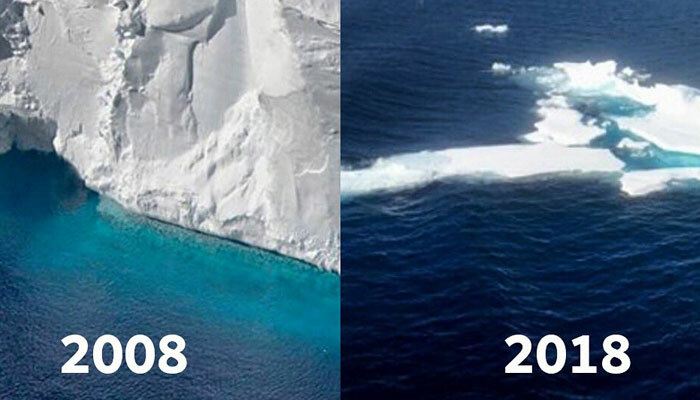 While some are taking this challenge as a joke, there are others who have brought up the transformation in the nature and environment through the #10yearchallenge. Let’s check out some issues that we only need to worry about as a part of the #10yearchallenge. Stunning photographs have come up showing how the environment has been put to a threat over the decade. Glaciers are melting away because of global warming and this subsequently is an issue to really worry about. Global Warming raises other concerns as well like endangering the natural habitat of wild animals. 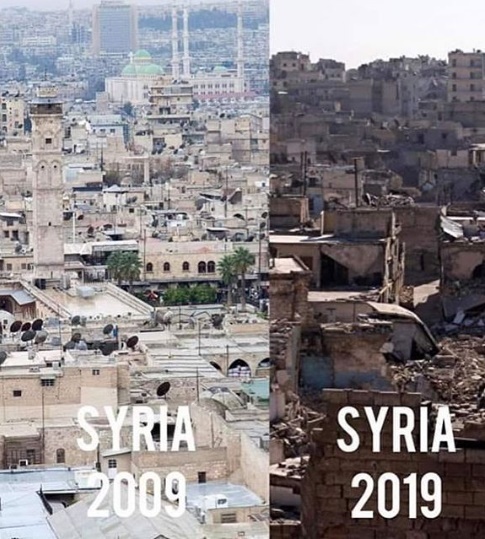 Here are some photos and the only #10yearchallenge we need to worry about. Countries like Syria, Yemen, Libya, and Iraq used to better places for human species to live. It’s saddening how the times have changes and now the countries are falling apart. No one else but humans are to blame. You will be astonished to see how these countries used to look then and how they look now. Through the years we have seen wildlife facing a serious threat. We never know when we will be seeing wild specie for the last times. The last white Rhino died in 2018, and believe me more disheartening news will follow if we don’t change ourselves. Polar bears are starving to death due to global warming, tigers are being hunted, and it doesn’t seem to stop. Population continues to grow, no. of vehicles on the street is escalating, and rivers are being polluted until they come to a dead end. These things are serious and it’s time before we realize that it’s too late. So, there is only one thing we need to do, change ourselves and just a bit can make a lot of difference.